Past, present and future-at your fingertips. 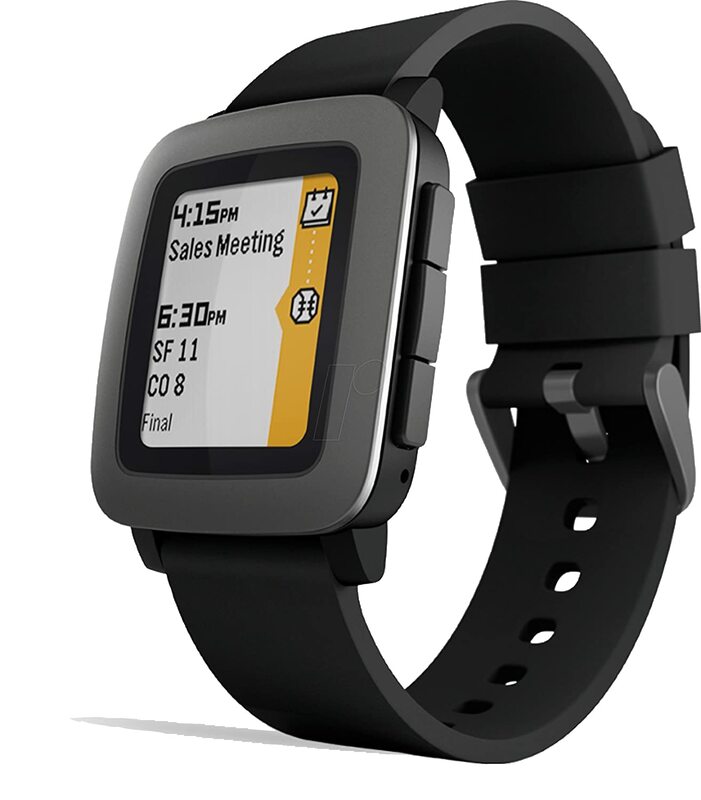 Pebble Time’s new timeline interface respects that busy people want to get. Things. Done. 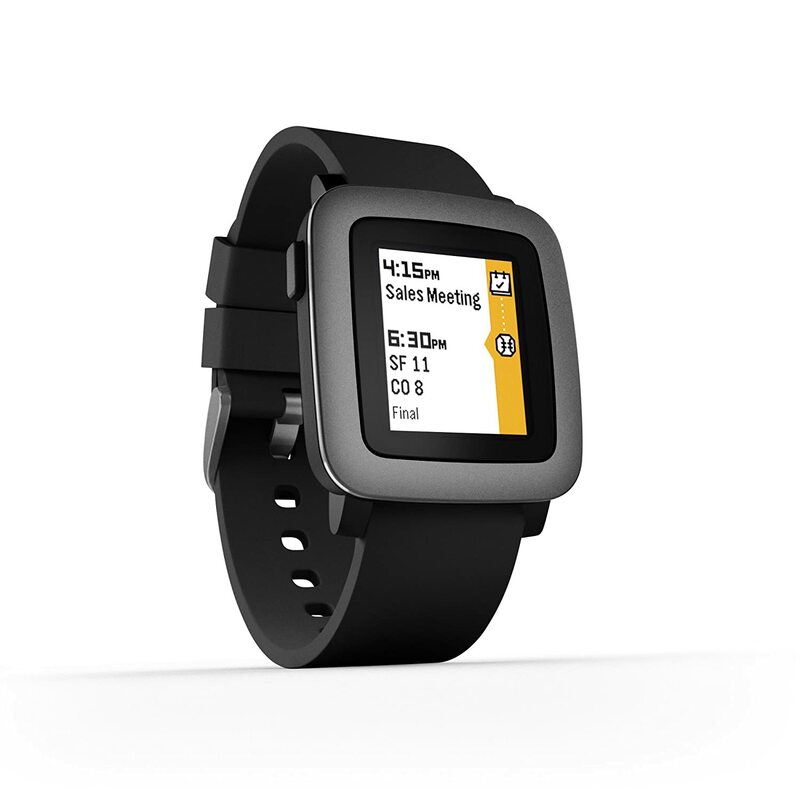 Pebble time lets you act now, reflect on the past, and look into the future - and do it all for up to 7 days on a single charge. 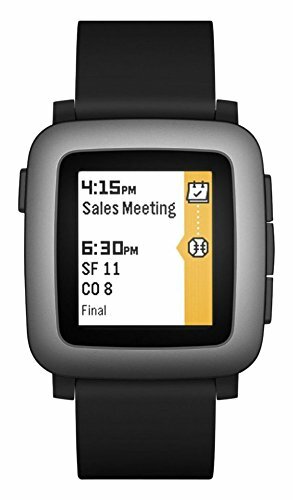 Includes Pebble Health, a built-in activity and sleep tracker with daily reports and weekly insights. PBTM-BLK Past, present and future-at your fingertips. 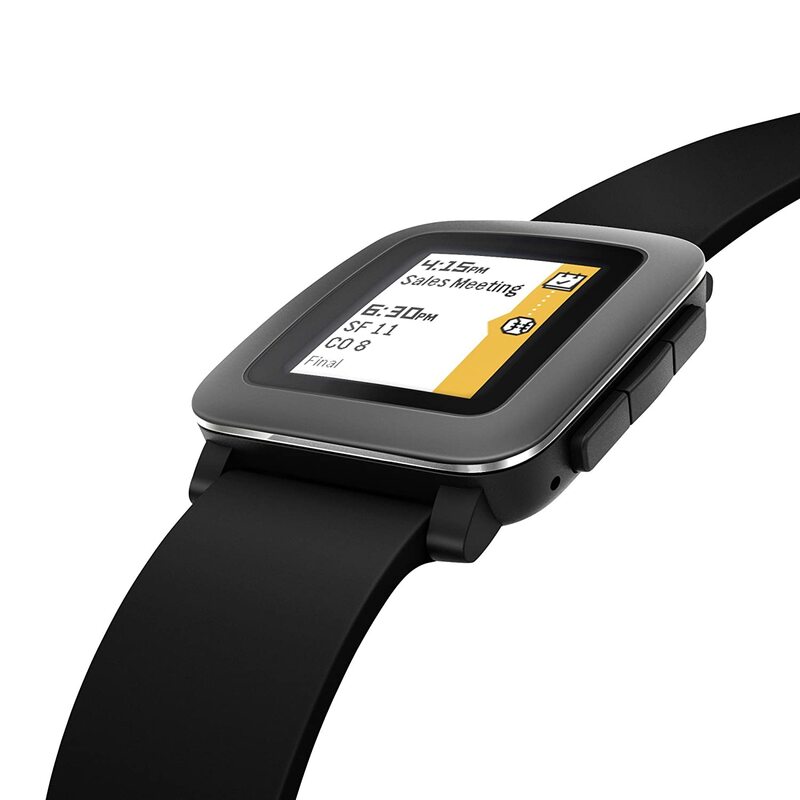 Pebble Time’s new timeline interface respects that busy people want to get. Things. Done. 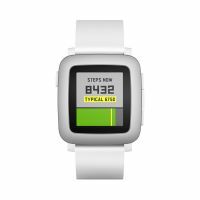 Pebble time lets you act now, reflect on the past, and look into the future - and do it all for up to 7 days on a single charge. 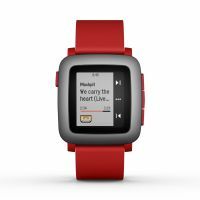 Includes Pebble Health, a built-in activity and sleep tracker with daily reports and weekly insights. Notiﬁcations at a glance: calendar events, text and emails, incoming calls, and more. Includes Pebble Health, a built-in activity and sleep tracker with daily reports and weekly insights. 9.5mm thin chassis with curved, ergonomic profile. Marine Grade Stainless Steel bezel with PVD coating, matte and polished finishes. Tactile buttons for easy, eyes-free control. Magnetic charging with cable that works in any USB port. Vibrating motor for discreet alerts and alarms (wake yourself, not your loved ones). Includes 22mm Silicone Strap and USB Charging Cable. 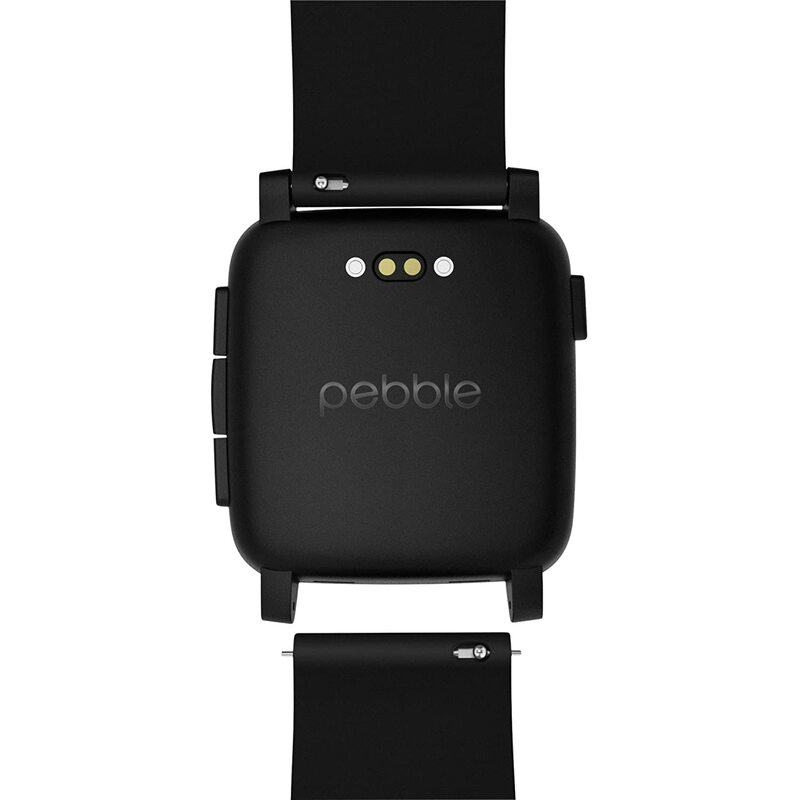 To Recieve updates and possible rewards for Pebble USA Pebble Time Smartwatch - Black please sign in. To Recieve updates and possible rewards for Wearable please sign in.